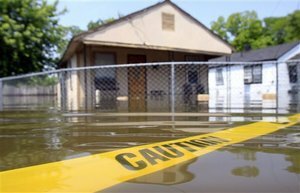 The 2011 Mississippi River flood is a slow-moving disaster. For an observer of Southern trends, it’s hard to ignore the tornadoes and floods afflicting the South this spring. I’ve always thought California was the most disaster-prone region of the United States. They have earthquakes, wildfires, droughts, mudslides and traffic. But lately, the South seems to be giving the West Coast a run for its money. Southern states such as Alabama, Arkansas and Louisiana have plenty of evidence for claiming “most dangerous state” superiority over California. As the cresting Mississippi River spreads out on its way to the Gulf of Mexico, all of the attention on Louisiana is eerily reminiscent of our focus on that region this time last year during the unnatural disaster of the New Horizon oil spill in the Gulf of Mexico off Louisiana’s coast. And how can we forget the years-long recovery from the devastation of Hurricane Katrina. No, I’m afraid I have to admit that living in California may not be as dangerous as the South, particularly the Southeast. Researchers at the University of South Carolina’s Hazards and Vulnerability Research Institute backed up my hunch. The South is the easiest place to die from a natural disaster. 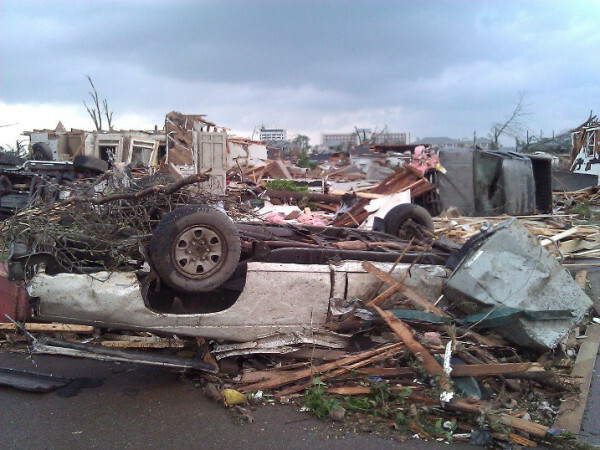 A 2009 study of natural disaster deaths revealed there were more than 20,000 such deaths from 1970 to 2004, with the majority occurring in the Southeast. The Great Plains and Southwest rounded out the top three. I’m not sure this is a point of pride for Southerners. As I combed through the data in that 2009 study, a curious statistic popped out – heat and drought kill more people than severe weather events. This serves as a unwanted reminder that this temporary cool spell in Atlanta belies the heat and humidity on the way. You notice what comes in at number three? Winter weather. Who can forget the winter storms this year? Here in Atlanta we were immobilized for nearly a week by a snow storm-ice coating. It was, well, unnatural. An all-too familiar scene from Tuscaloosa, Ala., after April's deadly tornadoes. As the images of residents abandoning flooded homes in boats and the remains of tornado-splintered homes being bulldozed continue, my heart goes out to the victims. So maybe it’s time for you Southerners to pick up a weather radio, put new batteries in your flashlight, get a few jugs of water and shop for generators. Remember, hurricane season starts in two weeks. The winner from my “contest” on best examples of “I’m just sayin’” or “bless her heart” goes to Meredith Shaw with a classic: “She can’t carry a tune in a bucket, bless ‘er heart.” Your prize? Internet fame. Isn’t that what everyone wants? This entry was posted in Uncategorized and tagged Arkansas, California, drought, earthquakes, floods, Gulf of Mexico, Hazards and Vulnerability Research Institute, heat, humidity, Katrina, Lance Elliott Wallace, Lance Wallace, Louisiana, Mississippi River, natural disasters, New Horizon, New South, NewSouth, NewSouth Essays, oil spill, Southern Culture, the South, tornadoes, wildfires. Bookmark the permalink.